London-based Italian artist Marco Strappato’s (1982, Porto San Giorgio) research revolves around the overlap and overexposure to the endless production of images from the media. 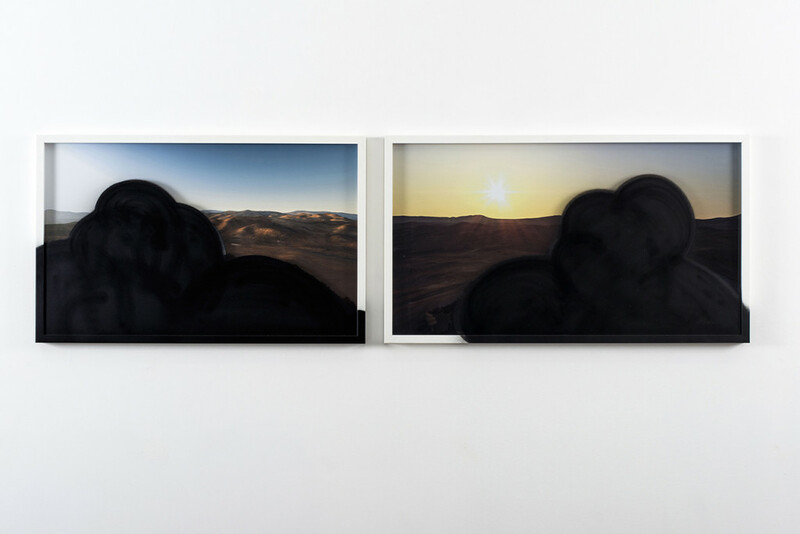 His latest ‘multi-layered’ works take the form of a sculptural three-dimensional collage drawing material from the relationship between landscape and technology. Extrapolating color codes and the pure structure underneath objects, Strappato composes installations that discuss the way images are generated and perceived, our relationship with the media and how the external environment affects our emotional and psychological experience. 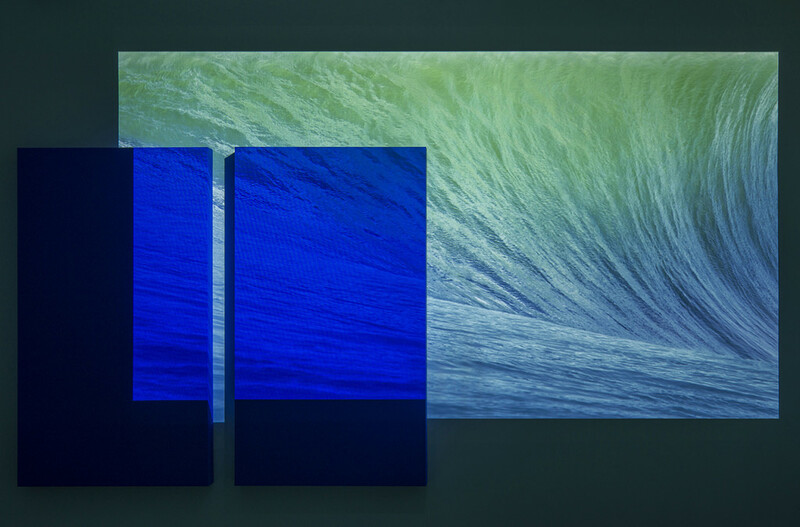 Marco Strappato, ‘I’ve caught Derek Jarman and Yves Klein looking at my desktop wallpaper’, 2015, Rosco chroma key blue paint on 2 canvas (90 x 160 cm each), projection, size variable. Image courtesy the artist and The Gallery Apart. Photo: Giorgio Benni. 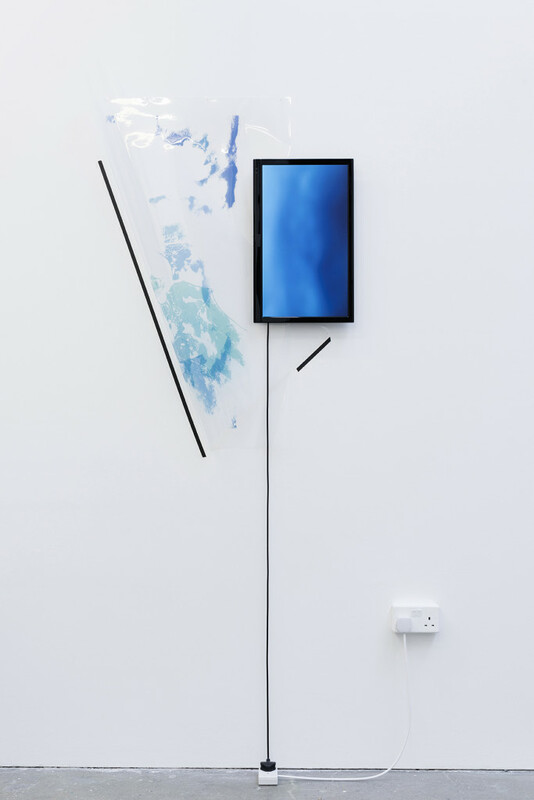 Marco Strappato, ‘Untitled (Atmosphere/Chemistry/Ozone/Yearly concentration + Ocean/Chemistry/Dissolved Oxygen/5000 meters/Seasonal percentage).’, 2015, Inkjet print on acetate, jpg projected on 22” screen, cable, nails, tape, Dimension variable, Unique. 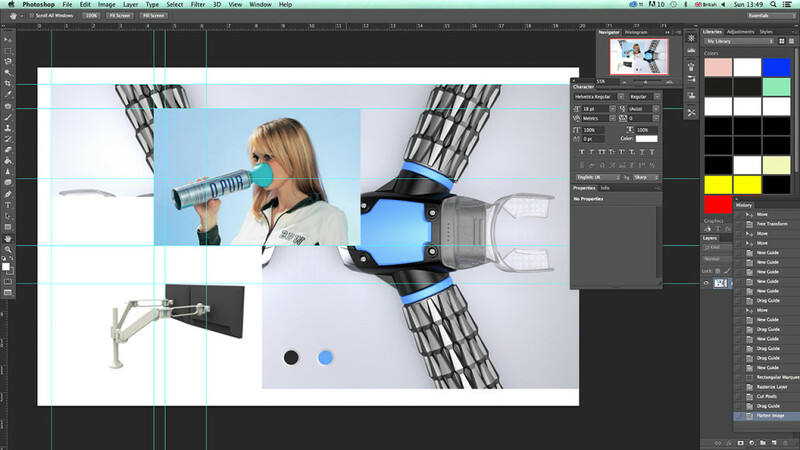 Image courtesy the artist and The Gallery Apart. 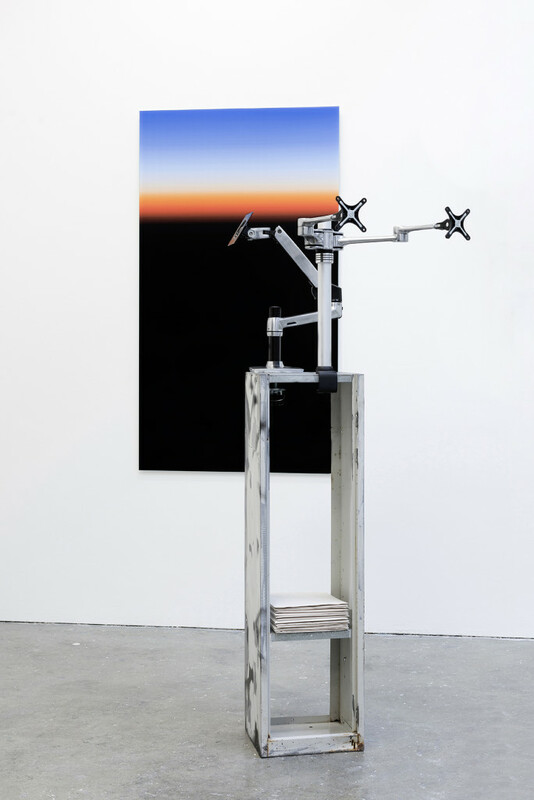 Marco Strappato, ‘Untitled (Atmosphere/Chemistry/Ozone/Yearly concentration + Ocean/Chemistry/Dissolved Oxygen/5000 meters/Seasonal percentage).’ (detail), 2015, Inkjet print on acetate, jpg projected on 22” screen, cable, nails, tape, Dimension variable, Unique. Image courtesy the artist and The Gallery Apart. Marco Strappato, study for ‘Untitled (Atmosphere/Chemistry/Ozone/Yearly concentration + Ocean/Chemistry/Dissolved Oxygen/5000 meters/Seasonal percentage).’, 2015. Image courtesy the artist. 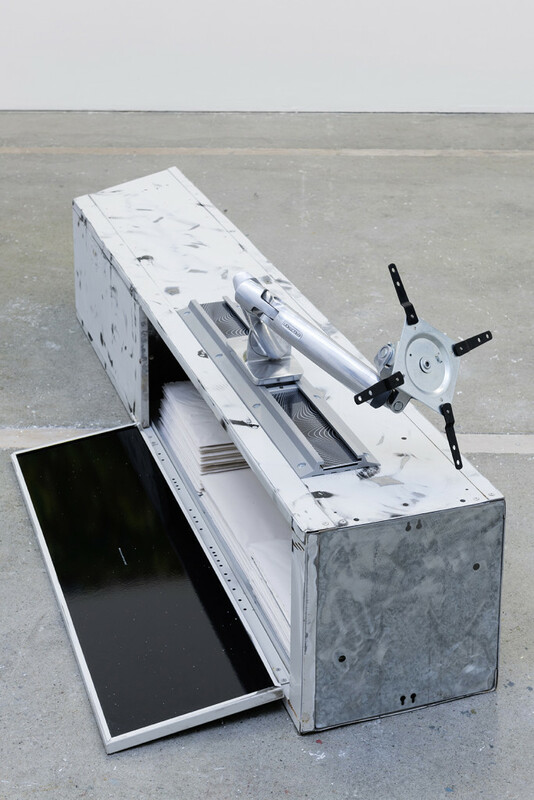 Marco Strappato, study for ‘Apollo and Daphne’, 2015, Customized locker, 2 desk mount LCD arms, jesmonite sheets, spray, paint, filler, Dimension variable, Unique. Image courtesy the artist. 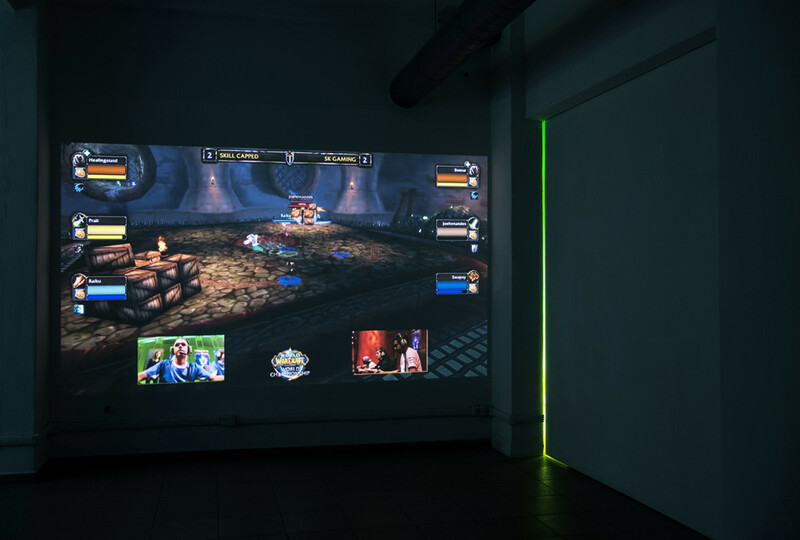 Marco Strappato, ‘Apollo and Daphne’, 2015, Customized locker, 2 desk mount LCD arms, jesmonite sheets, spray, paint, filler, Dimension variable, Unique. Image courtesy the artist and The Gallery Apart. 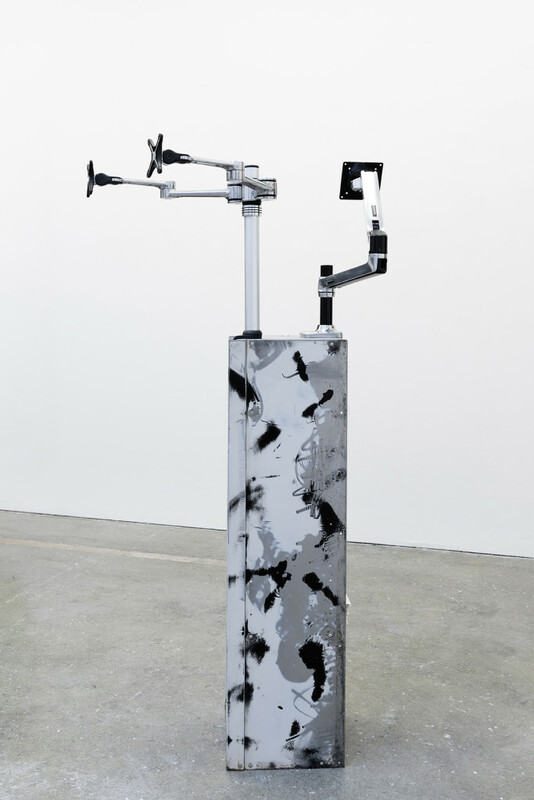 Marco Strappato, study for ‘Laocoön’, 2015, Customized locker, wall mount LCD arms, wall track, jesmonite sheets, 3, C-type mounted on aluminium, spray paint, filler, Dimension variable, Unique. Image courtesy the artist. Marco Strappato, ‘Laocoön’, 2015, Customized locker, wall mount LCD arms, wall track, jesmonite sheets, 3, C-type mounted on aluminium, spray paint, filler, Dimension variable, Unique. Image courtesy the artist and The Gallery Apart. 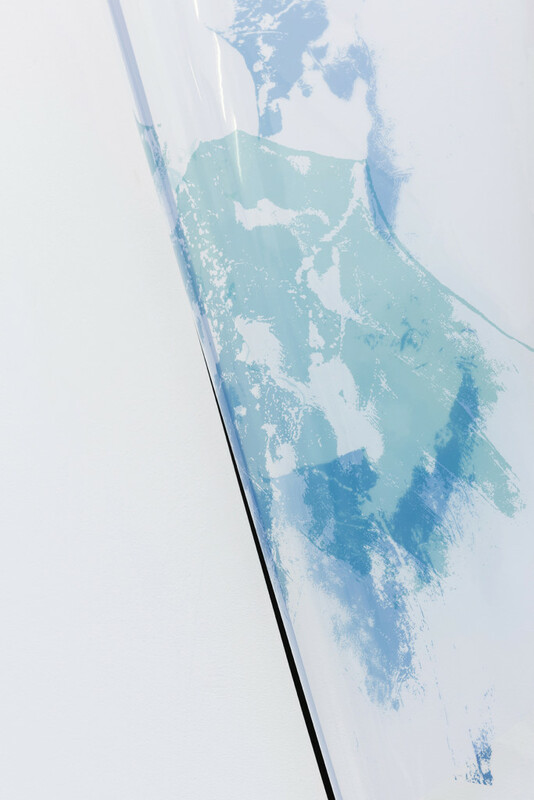 Marco Strappato, ‘Laocoön’ (detail), 2015, Customized locker, wall mount LCD arms, wall track, jesmonite sheets, 3, C-type mounted on aluminium, spray paint, filler, Dimension variable, Unique. Image courtesy the artist and The Gallery Apart. Marco Strappato, ‘Over Painted ESO#1’, 2015, C-type, spray paint, 52x83cm (sx), Over Painted ESO#2, 2015, C-type, spray paint, 52x92cm (dx). Image courtesy the artist and The Gallery Apart. 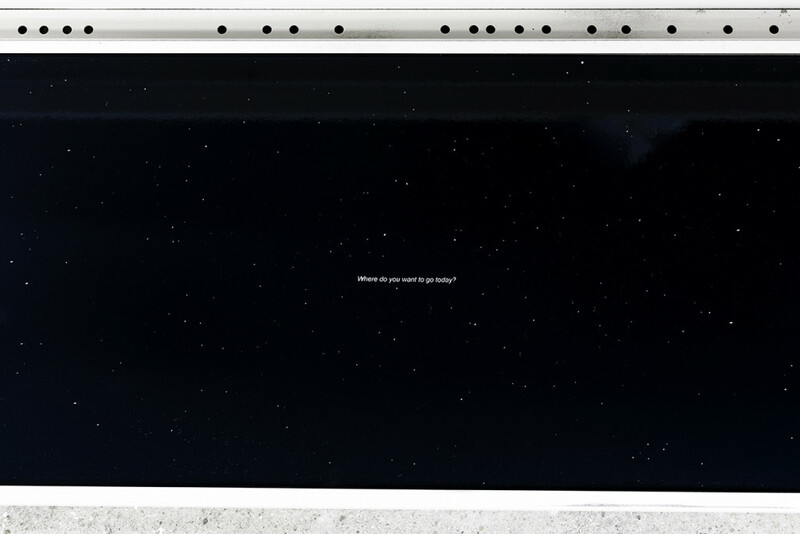 Marco Strappato, ‘W.o.W – Grand Final ’15’, 2015, mp4, laptop, active speakers, projection, loop, size variable. Image courtesy the artist and The Gallery Apart.